San Diego Personal Injury Attorney Erica L. Falkner has been representing accident victims in San Diego since 2012. A graduate of California Western School of Law, Ms. Falkner’s practice is limited to representing victims of accidents, and families affected by the wrongful death of a loved one. Ms. Falkner was born and raised in Pasadena, a suburb of Los Angeles. She moved to San Diego in 2005 to attend the prestigious University of San Diego. She majored in sociology, with an emphasis in law, and graduated with honors. 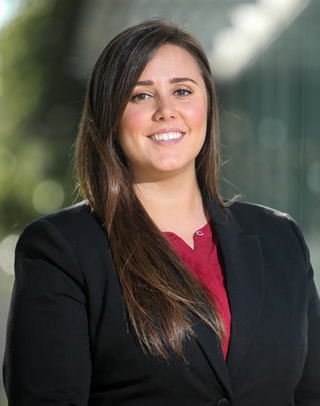 Erica joined the Law Offices of Howard Alan Kitay in 2014 and immediately set out to achieve a great track record of financial recovery for her clients. Refusing to surrender to the insurance companies, Ms. Falkner fights relentlessly against those who would deny accident victims a fair recovery. Regardless of the size of the case, Erica believes every client deserves attentive hands-on service and the best possible representation. With passion and insight, Erica L. Falkner fights hard for every client and has quickly become a major player in the San Diego legal community.